I am delighted with the website that Matt designed and built for me, he took on board everything I wanted the site to achieve and guided me through the process of preparing the content with enormous patience. I have had very good feedback about my website and Matt’s ongoing support has been invaluable. 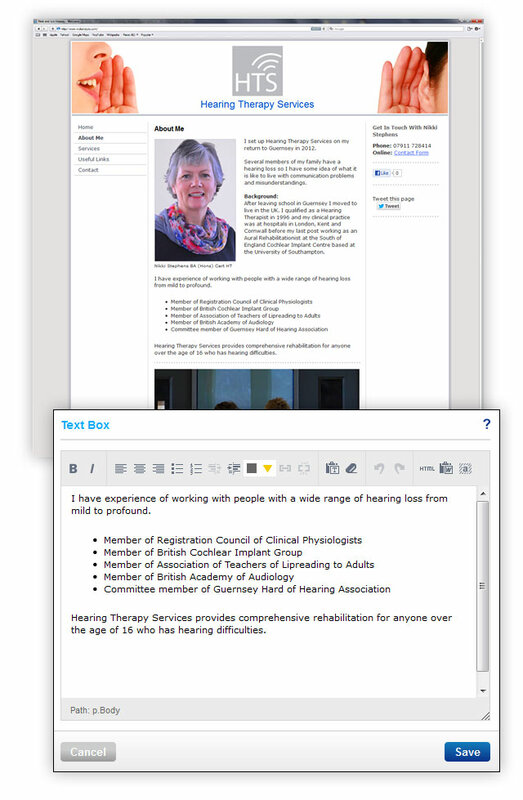 Client Feedback: Nikki Stephens, Hearing Therapy Services Guernsey. The clean website design is enhanced with simple photographic imagery that compliments the copy. The dark text is easy to read against the white background; legibility was a main consideration in the design of the site. Wording and paragraphs were kept short, direct and punchy with clear calls to action. Nikki wanted to be able to update her website frequently with news of events and useful information. With her having no experience of updating website content, I utilised a Content Management System which meant that she is able to simply login to the site and update text, links and images whenever it’s necessary, as well as creating additional pages and menu items. Any additional, new pages or content will automatically follow the website design template that I created. The user friendly CMS means that updating the website is as straight forward as creating a Microsoft Word document, as can be seen in the screenshot above. 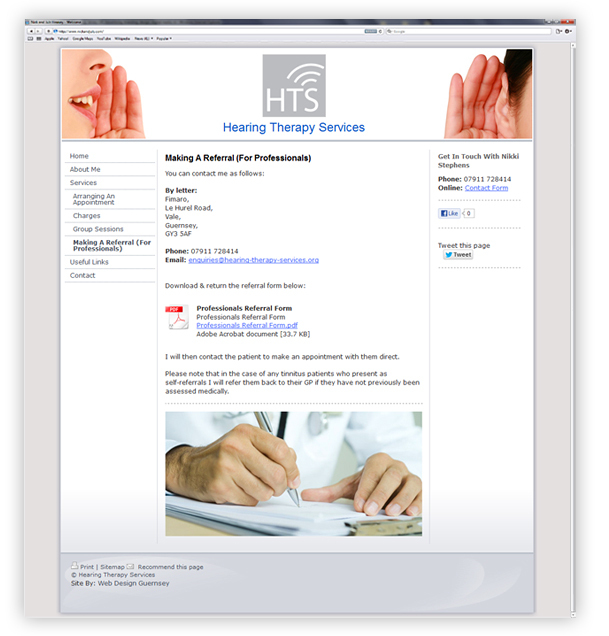 In addition to a website, Hearing Therapy Services also needed a logo to be designed which could be used online as well as offline on printed materials such as brochures and business cards. 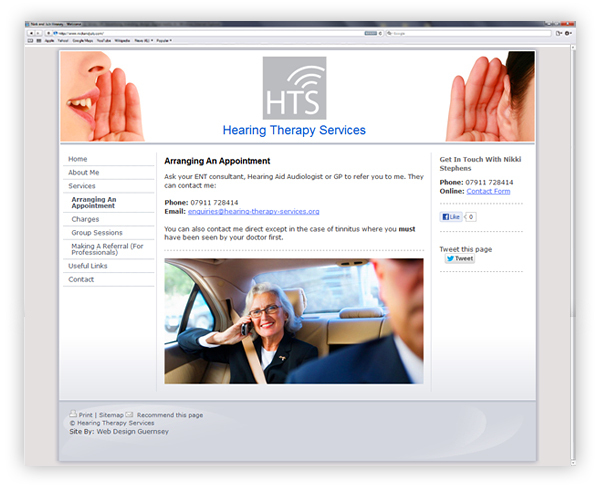 I created a logo that was stylish and relevant for use in the hearing therapy environment.